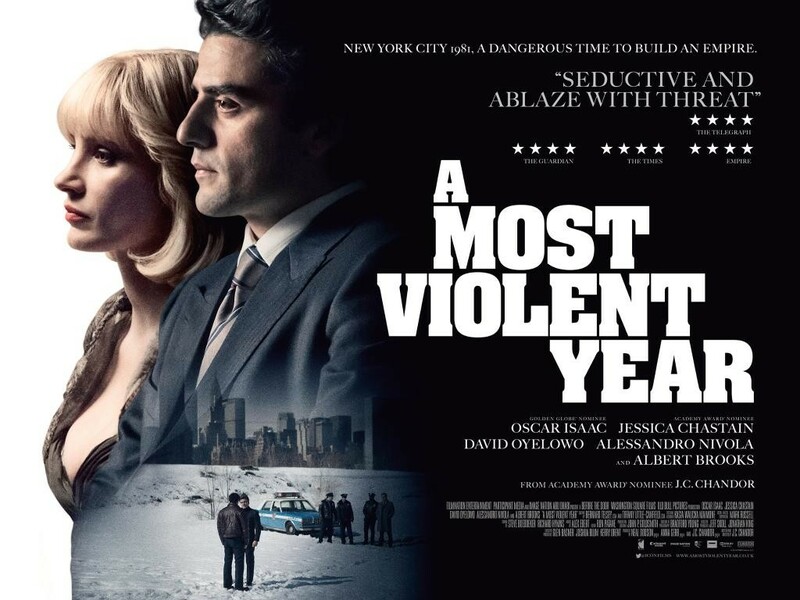 Movie Ramble: A Most Violent Year. Directed, produced and written by J C Chandor A Most Violent Year (2014) is a crime drama set in New York City during the winter of 1981 said to be one of the most violent in the city's history. Our story involves Abel Morales, a man with ambition who wants to expand his heating oil company by purchasing a dual oil terminal on the East River. This will allow him to get one over on his competitors by allowing him to directly import fuel oil from barges and to store more oil in the summer months when the price is low. Placing a down payment of 40% on the property with an agreement that the outstanding amount must be settled in 30 days otherwise he looses both the property and his deposit. But Morales has a problem in that his Standard Oil Company is being plagued by the hijacking of several of his trucks and their cargo of oil stolen, a problem that’s making it harder to raise the money for the outstanding 60%. A grand cast makes this crime drama very easy to enjoy. 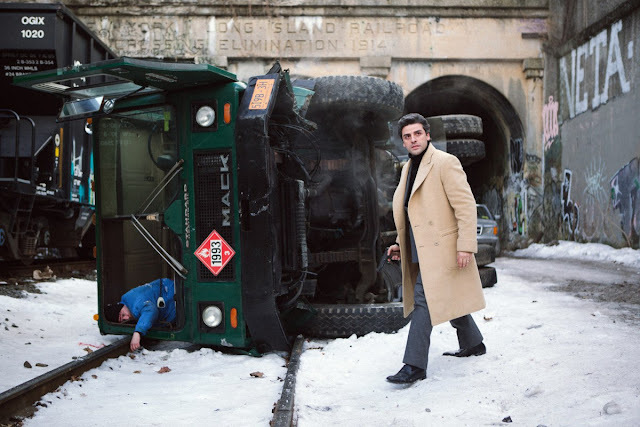 Oscar Isaac, whose performance in the Coen Brothers film Inside Llewyn Davis (2013) won him many plaudits plays Morales 'a good man who deserves respect' with the very attractive Jessica Chastain (Zero Dark Thirty 2012) as his wife Anna a woman that would sooner dispense with arbitration replacing it with pure old fashioned violence. David Oyelowo seen recently in Selma (2014) where he played Martin Luther King Jnr is an Assistant District Attorney determined to expose price fixing, tax evasion and other illegalities involving the heating oil business in general and Morales in particular. ....he should let his wife sort it out! The film has a cracking musical score composed by Alex Ebert, and has been deservedly nominated for whole clutch of film awards. As I said a film to enjoy and one that grows on you as the story unfolds. Commendably it down plays the violence normally associated with this type of film with Chandor attempting to put across the idea that violence is contagious but all the same it’s a good atmospheric thriller and one I can certainly recommend.